When operating an establishment, it is crucial to take specific precautions to ensure the safety of each and every individual who walks through your doors. While most companies follow these regulations to a T in order to protect the interests of their business, accidents can, and possibly will, occur on your property. These instances should be handled in a smooth manner, unless the party involved decides to present a lawsuit as a result. If your business has taken the correct precautions toward avoiding the injury or death of any individual that steps foot on your property, you should not be held liable for any instances that may occur. By following the proper regulations and forewarning others of any existing dangers, or simply eliminating them altogether, you are protecting your business from being targeted. However, it takes a skilled attorney to identify and present this fact in court. Unfortunately, insurance fraud is an increasing issue in our country. Customers of your business may attempt to purposely make false claims and reap the benefits of a staged lawsuit. Our attorneys are experts in identifying these cases and determining the best course of action to prove your party’s innocence in the matter. Cases such as these can quickly become complex and misleading, but we will be there to guide you through it. 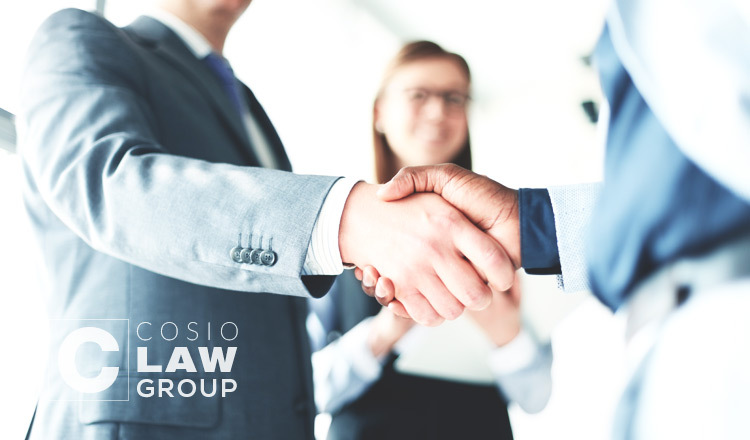 Cosio Law Group wants to help you and your business succeed. If you are being presented with an unjust personal injury or wrongful death lawsuit, it is time to contact the professionals. Give us a call at (305) 567­-0503 or click here to contact our accomplished attorneys.